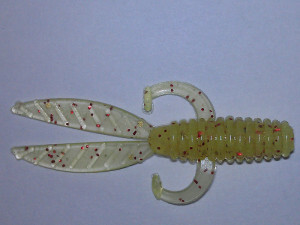 The Slab Bug has a bulky body style that combines a lot of great features. 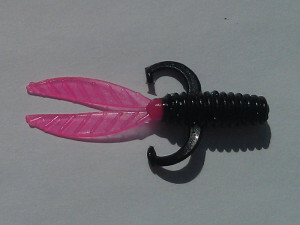 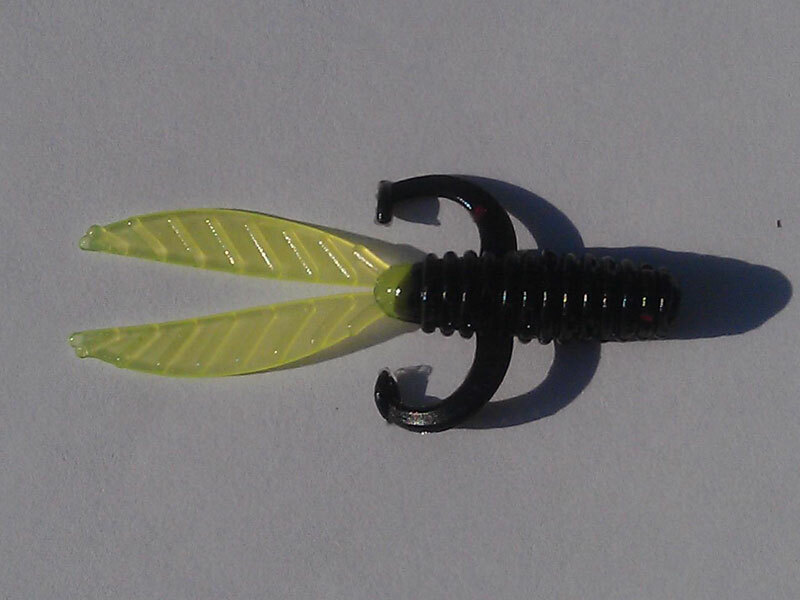 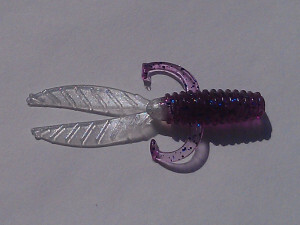 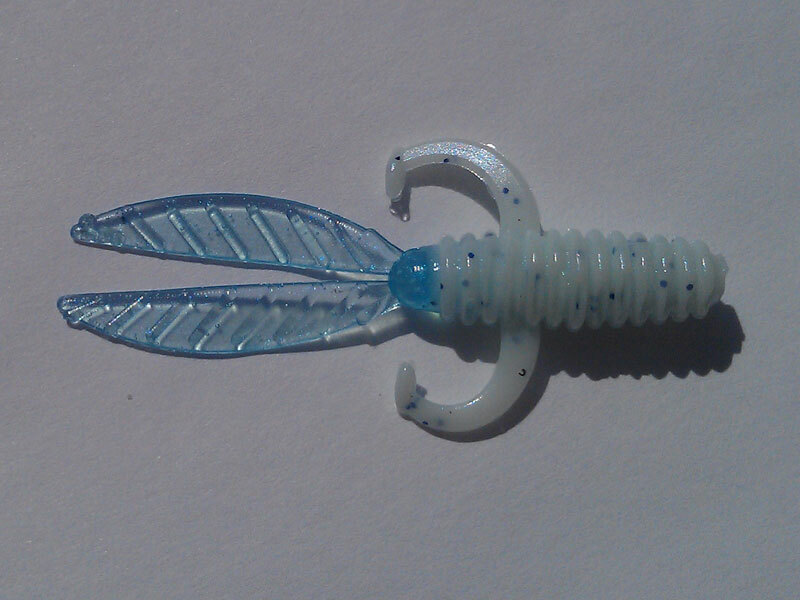 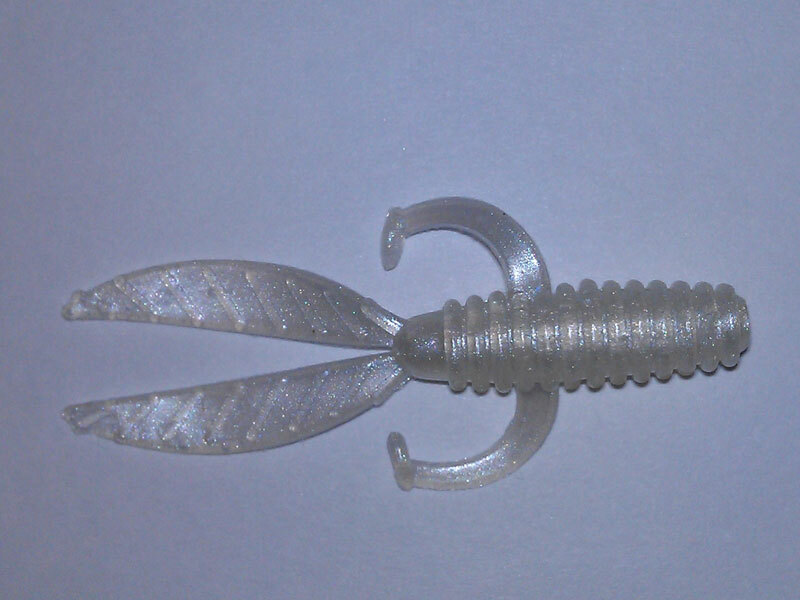 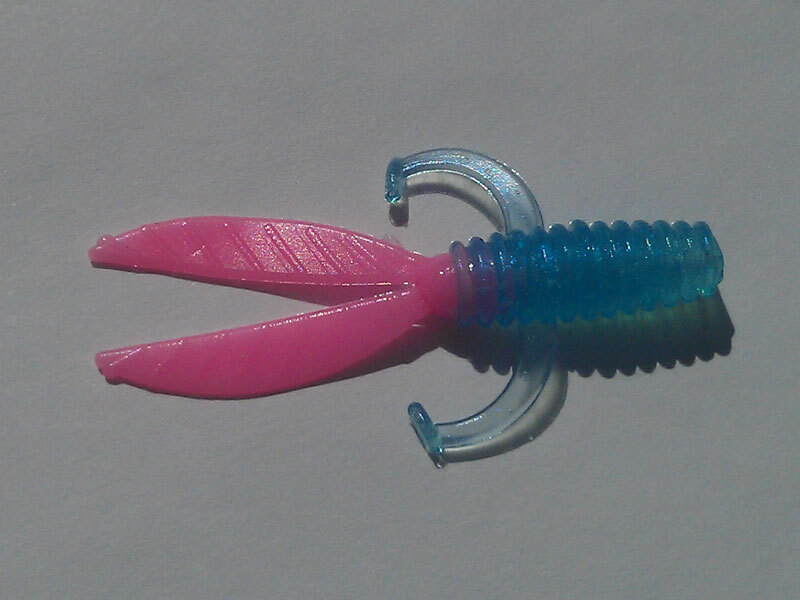 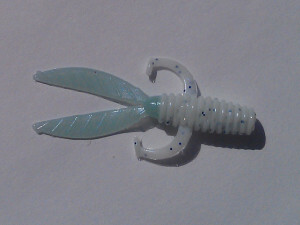 This lure, when rigged with a 1/16 or lighter jig head, has a slow descend which allows it to stay in the strike zone longer. 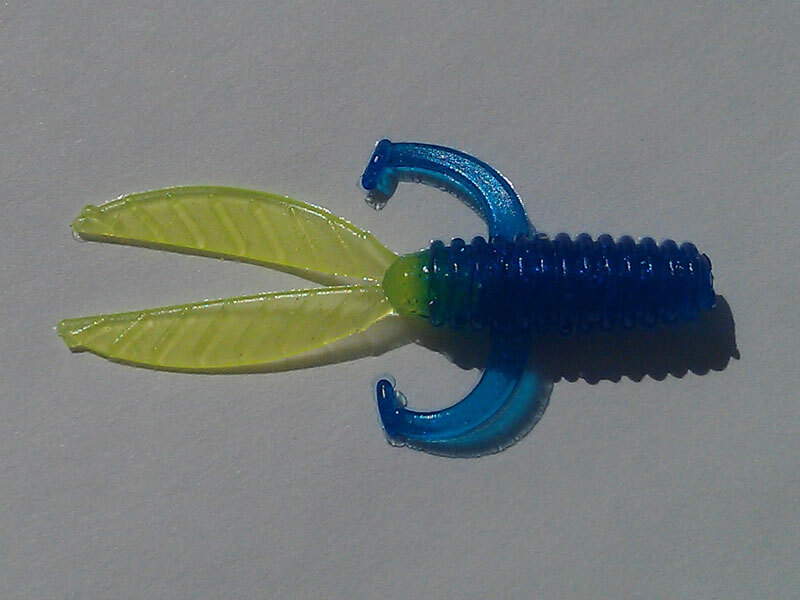 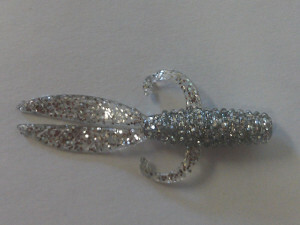 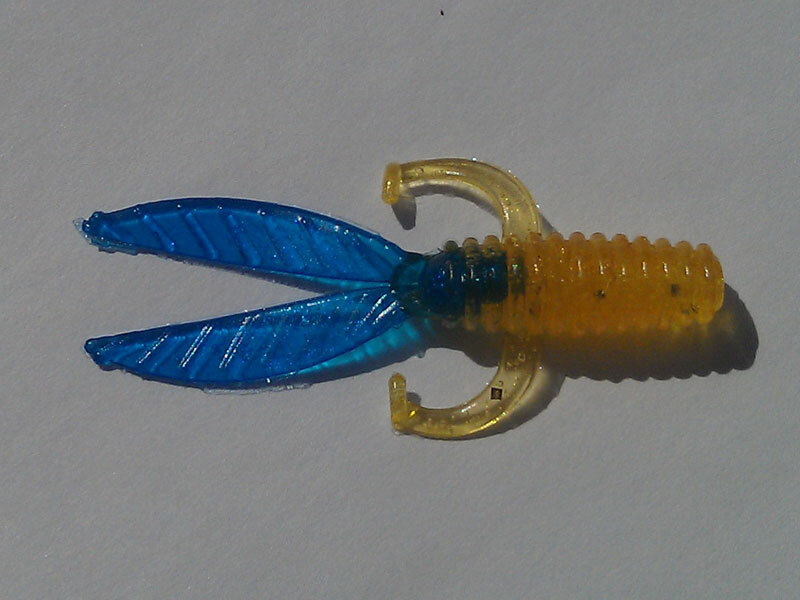 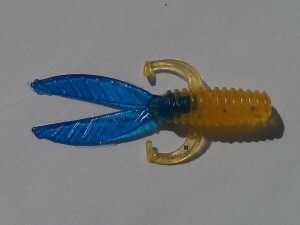 The arms are equipped with paddle tips which provide a vibrating action, while the craws flutter to provide a unique swimming action. 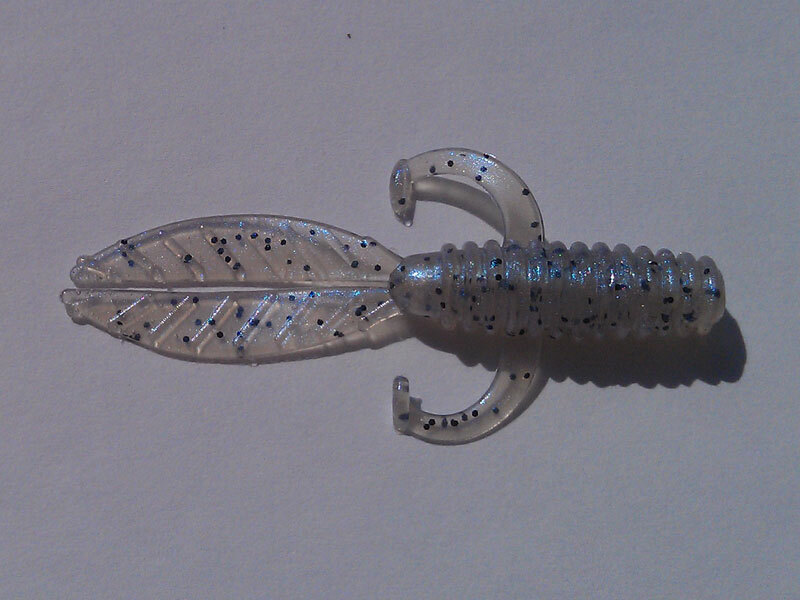 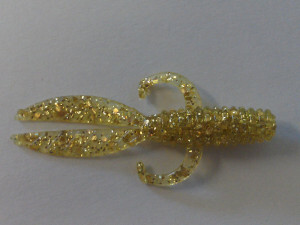 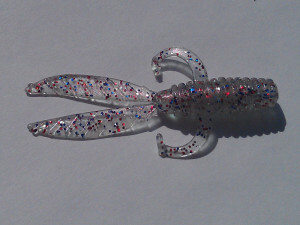 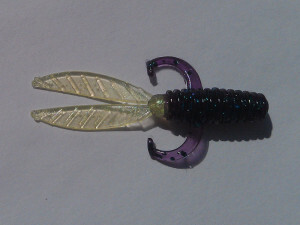 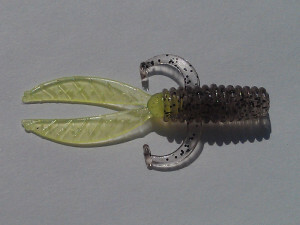 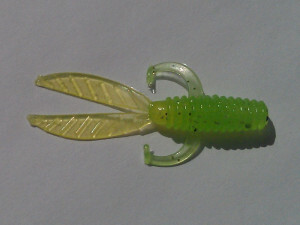 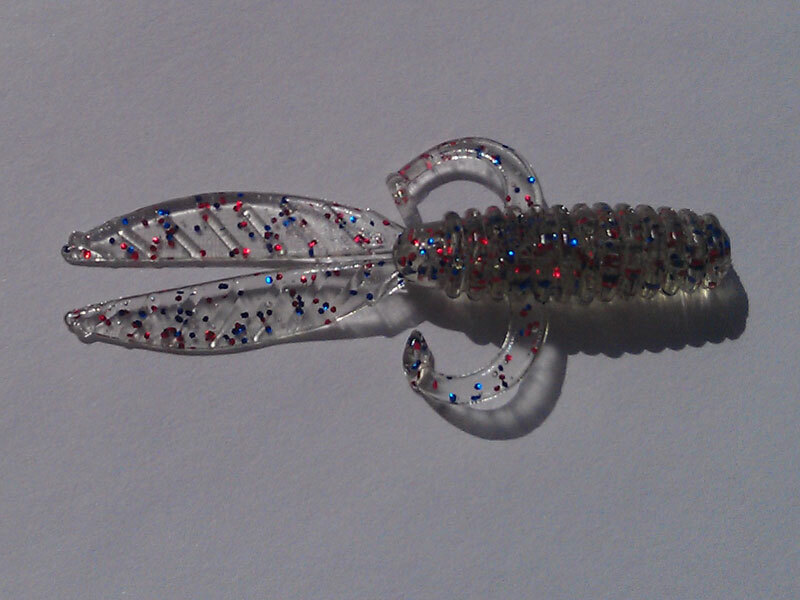 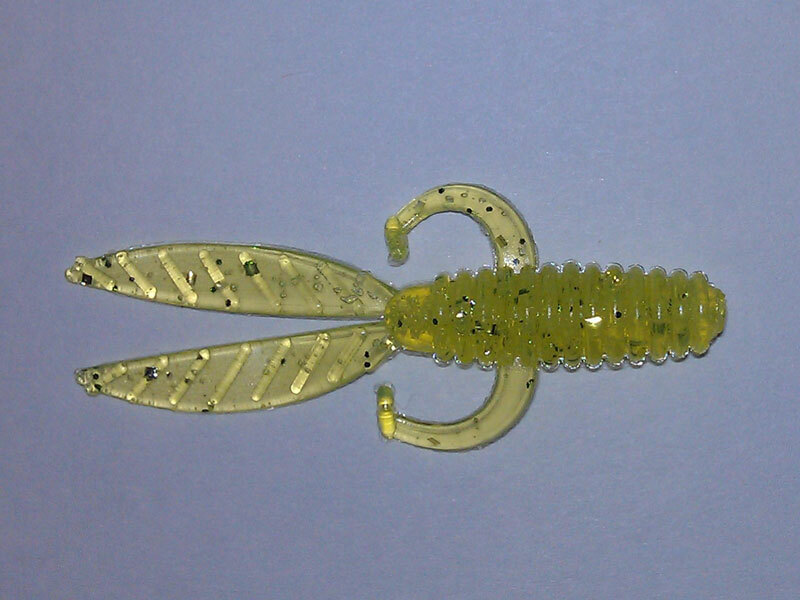 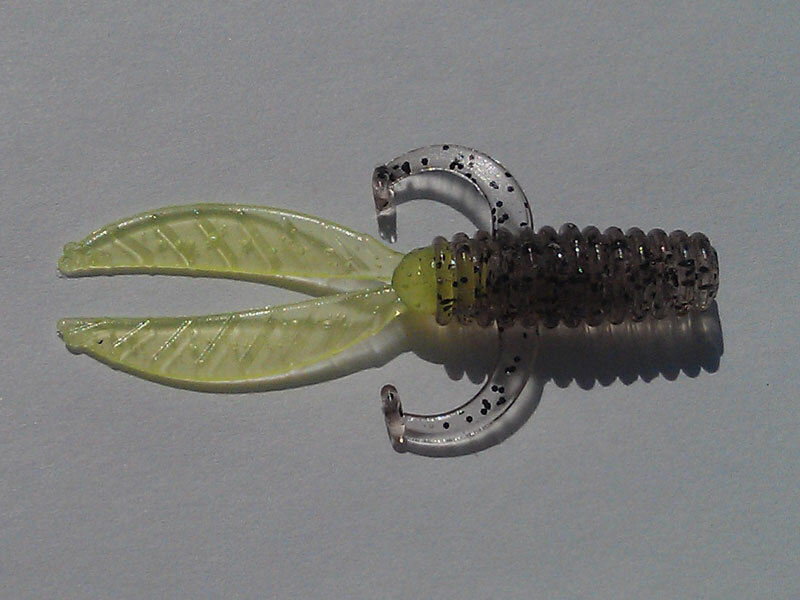 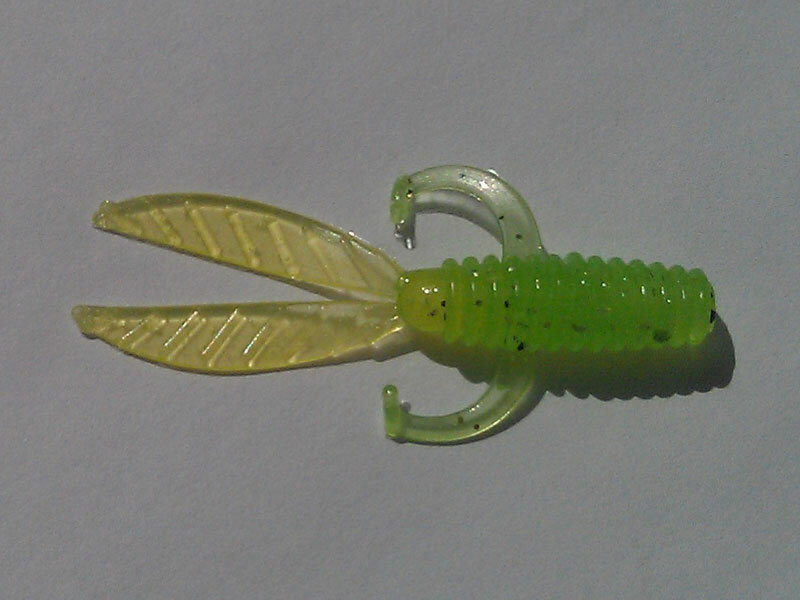 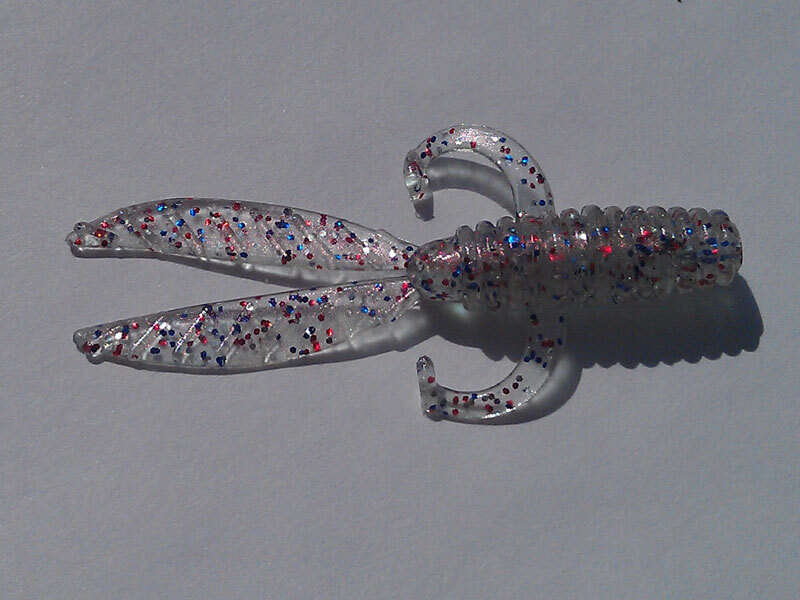 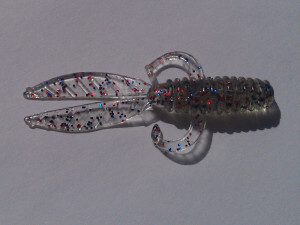 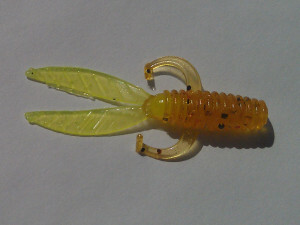 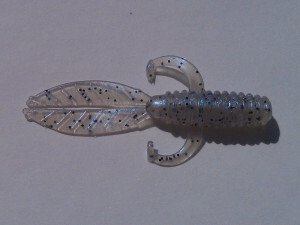 This dual action, slow fall bait simply drives crappie crazy. 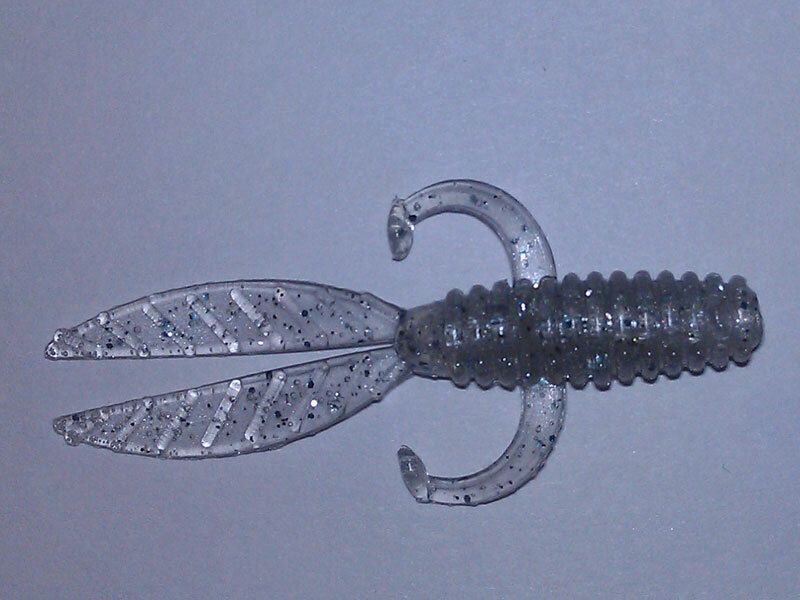 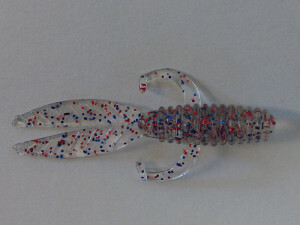 Try it today on a simple jig head or swimming on a roadrunner jig for fantastic results! 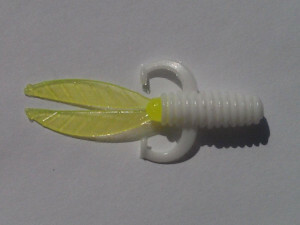 The total length of the bait is 2″.